Many people are realizing that pre-planning their own memorial service or funeral affords great emotional and financial security, and comfort for themselves and their families. 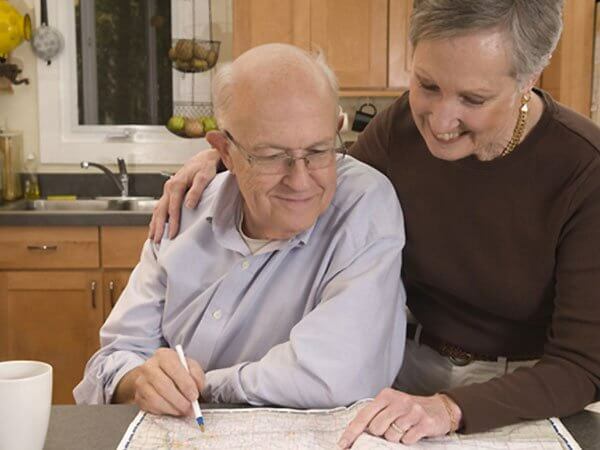 When you pre-plan, your family will know that the service reflects what you or your loved one desired. Once you’ve made your prearrangements, be sure to keep a copy of your plan and any other paperwork in a safe place (a safe deposit box is not a good idea as many times they are not accessible until after the arrangements have been made). Also, it is wise to tell your friends and family what arrangements you have made and where all the instructions can be found. Prepaying is not required, but it is an option that many individuals find helpful. There are several ways to prepay for your funeral that can offer you financial benefits. Please discuss this with your funeral director or our prearrangement experts from Assurant Life of Canada, who can explain all the details. Tax Free Growth: You never pay any tax on the interest your plan accrues. Transferable: If you decide to move away from Qualicum Beach, 100% of your plan is transferable to another funeral home. Flexible: You are free to change or adjust any details of the service at any time. All Excess Money is Returned: When a death occurs, if there is more money in your plan than what the funeral ends up costing, all excess funds are returned to your family/estate. Your family pays no probate fees or taxes. Guaranteed-Frozen Costs: When you fund your pre-arrangement, Qualicum Beach Memorial Services will lock in the goods and services under their control. In these times of economic uncertainty, this benefit alone provides peace of mind as well as savings. Peace of Mind: By pre-planning and pre-financing a funeral, you eliminate the risk of “emotional overspending” and do not have to wait on banks, estates or traditional insurance for the appropriate funds. Monthly Plans: For those who wish to lock in prices but find themselves on a limited budget, they can select a payment plan with low monthly costs. There are 1, 2,3, 5, 10 and 15 year plans. No medical exam is required. Qualicum Beach Memorial Services Ltd.